elliven studio: What's in the bag? Thought I'd take the time do the infamous "what's in the bag" post! I don't switch purses all that often, maybe once or twice a month and it's probably because I'm a tad bit lazy, but we won't admit that (wait, just did, didn't I....). Hope you enjoyed this edition of "what's in the bag"
I just love your tote bag! so cool! A fun peak into the bag! That's it?! 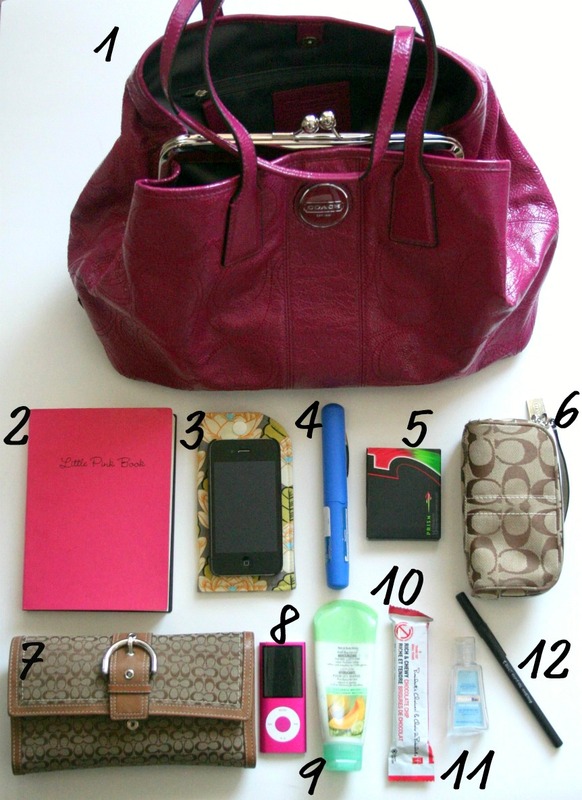 Actually, it's about I would expect from a neat and organized person ;) I aspire to have a purse like yours! I love how you have everything and it's so neat and organized. Cute bag too!